IRPs/RPs/Liquidators form the fifth pillar of the ecosystem under IBC. Unlike the previous regime under Companies Act, they are professionals with expertise in accounting/law/Secretarial practice/ relevant experience in the field. 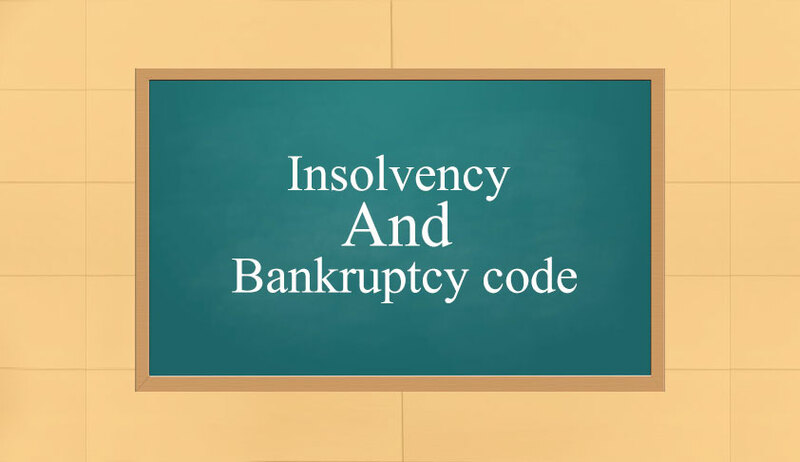 Criticality of their role can be gauged from the fact that on admission of application by NCLT, IRP assume power of managing the affairs of the debtor. After formation of creditor committee role of RP gets widened as RP has to co-ordinate a meeting of CoC and discharge responsibilities for the entity beside controlling its assets. RP is also responsible for providing information to CoC/prospective resolution applicant for inviting and collecting proposals. RP has the power to appoint resources that may be required including accounting and consulting services to discharge responsibilities. The RP has to facilitate negotiation between the debtor and the creditors in assessing the viability of the entity and is also responsible for calling the creditors committee to evaluate the submitted proposals. Fee of RPs: IBC does not prescribe fee structure for RPs. This has been done deliberately so that fee structure gets evolved over a period through market forces. As per the scheme envisaged, fee paid to RP is recorded in database at IBBI and along with other details such as size of the insolvency, the days taken for resolution, the frequency with which entities are resolved and successful turnarounds and the frequency with which entities are resolved or eventually turn up for liquidation. It was expected that the information will enable the parties to carry out a fee-performance when choosing among. It was left to the market to develop competition to drive charges of the RP rather than setting these in the Code, or in regulations. It was, however, expected that the fixation of fee will have to take into account the leverage available in the light of liability and value of assets. In cases of low or no asset entities can approach Adjudicator/ Regulator to recommend an RP who will be appointed with the with minimum fee. IBC Committee also felt that the requirement for RPs to offer to service on minimum charge basis must be made mandatory upto a number. Role of RP is very wide and important under CIRP. Immediately on appointment, RP has to collect all information from all possible records/electronic data, employee, consultants, Bankers and if required from lawyers. Since a RP represents the Company, such professionals cannot claim ‘privilege’ in sharing of the relevant information. RP has to look into all major transactions undertaken by the company during previous years to find out any undervalue, defrauding, fraudulent, wrongful transactions and also to see whether there are any transactions in breach of director’s duties. RP has to remain vigilant to find out unwarranted and uneconomical settlement done by the Company in last two years. Similarly, RP has to take possession of assets of the company and arrange or preservation and protection, valuation etc. He can sign documents and represent the company in litigation. Role of RP is full of challenges and it requires special skill to handle large debtors. These challenges could be in the form of non-co-operation by existing promoters/management, key employees. Finding out overseas assets, intangible assets, refund, set-off, realization of recoverable etc. are all challenging jobs. Similarly, RP may have to tackle issues relating to operation of the entity, retaining vendors, customer, protect image market perception of the company, staff loyalty etc. RP may also have to ensure continuous flow of funds and credit for the entity to start/run/maintain its operations. Thus, RP has to be everything, a Management expert, best communicator and negotiator, motivator, legal and financial expert, accounting experts to dig out hidden information/transactions entries, bold enough to take timely decisions in critical situation and resourceful enough to move different authorities for appropriate direction/relief and also negotiate and convince them for relief and concession. In view of the complexity involved in the job, RP usually have backing from professionals and expert in the respective field/activity of the entity. Especially in big cases, RP needs to have the support of professional firms for expert resources. Because such issues and cost factors, the fee of RP is also usually high. RP face another challenge of replacement by CoC. As per the figures about replace of RP as per table below, IRP appointed by Corporate Debtor (if it is applicant) also runs the risk of getting replaced by CoC in the very first meeting as the figures below would show. It may thus, involve credibility/perception issues also which make FC feel comfortable to deal with RP nominated in CoC. Though, IBBI has huge list of registered RPs which is ever increasing, but it being a new area of practice available skill set is limited and people having experience in handling restructuring/recoveries and special knowledge in financial/banking/legal would have better chances to succeed. As very limited professional have actually worked as RP/or have the opportunity to work as RP, we feel it would not be fair, at this stage of things, to assign any rating for the present study. Evolving jurisprudence - confusion/solution/changes/improvements expected. Clarities on the issues expected in near future. IBC ecosystem expected to usher in an era of compliance and financial discipline and improve the Business culture in the country. IBC offers great opportunity to show case to the world that India can manage defaults and business failures much more effective way than the developed world. It also offers great opportunity to put in use the concept of “SEPERATION OF POWER” in the sphere of the settlement of disputes and resolution mechanism in the commercial field. It is a great platform to recognize and utilize the technology in making the judicial process more effective and meaningful, especially in commercial filed.